There are many diverse areas we need to make decisions on when managing musculoskeletal disorders. We have developed simple and easy to use screening questionnaires for you to use yourself or for you to give clients to help you. 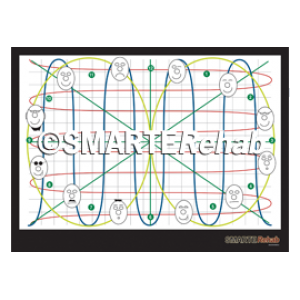 We will also show you how to use the Functional Performance Evaluation © to help you identify the client’s functional requirements, which can then later be used for designing a functional and specific rehab program. Make five categories of diagnoses. Our all inclusive sub-classification system addresses the diverse range of identified changes that occur following pain. Each sub-classification has clearly defined clinical prediction rules that can easily be interpreted from the questionnaires and clinical findings. We will give you a decision tree to show you how to prioritize each diagnosis. 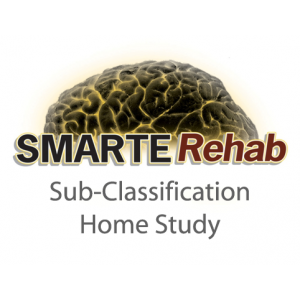 Each sub-classification has clinical prediction rules (evidence based rehabilitation guidelines). These guide you to the Therapeutic Options that are more specific for each sub-classification. We have identified short term goals based upon milestones of rehabilitation and will give you the current literature on how to predict outcome. The rehab program you chose can be used alongside manual therapy, neurodynamic, myofascial, connective tissues, viscero-fascial and reflex techniques you may feel are indicated. As described above, the Functional Performance Evaluation © (FPE) can help you identify the client’s exact functional requirements, which can then be used for designing a functional and specific rehab program. Another use for the FPE is to identify rehab risks in order to avoid contributing to harm or prolonging the problem by giving inappropriate rehab exercises. Obstacles can be identified and strategies implemented to overcome these risks. This can increase the likelihood of the success of the intervention. Below are several Therapeutic Concepts, which each contain Therapeutic Options. For example, Disability Prevention is a Therapeutic Concept and there are numerous Therapeutic Options we have to help prevent disability. Similarly, if we want to improve Physical Working Capacity there are several Therapeutic Options we have to achieve this concept (i.e. strength, endurance). Some Therapeutic Options are best used for some clients and not for others. For example, if someone has a low risk for disability, we don’t have to spend a long time addressing Disability Prevention. As well, if someone does not functionally require high load, we do not need to do high load strengthening. The fourth stage if the of the system is a self assessment component to ensure that the treatment is effective and encourages the clinician to reflect back upon their decisions. Follow up is still appropriate even if the client has been discharged.